Whether it's an Olympic event or a junior athletics competition, careful organisation is required to ensure the game is enjoyed by both competitors and spectators. 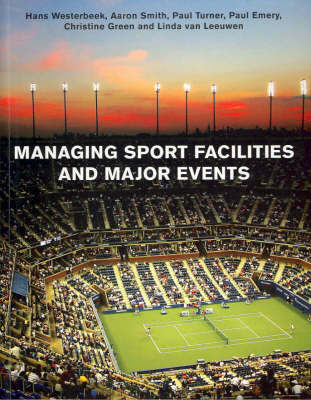 From corporate boxes to sprinklers, food outlets to toilets, first aid to media, facility and event managers are accountable for the success of each sporting event.Managing Sport Facilities and Major Events explains how to get the job done, from a management perspective. With detailed international case studies in each chapter, the book offers a systematic guide to the practical management issues and technical problems that sports managers address on the job.Chapters cover feasibility assessment, market research, event bidding and branding, risk analysis, contract and project management, corporate structure, quality assurance, budgeting, facility management, staffing, occupational health and safety, and contractual considerations as well as economic, social, community and environmental impact issues.Written by an international team of experienced scholars, Managing Sport Facilities and Major Events is an invaluable student text and professional reference.